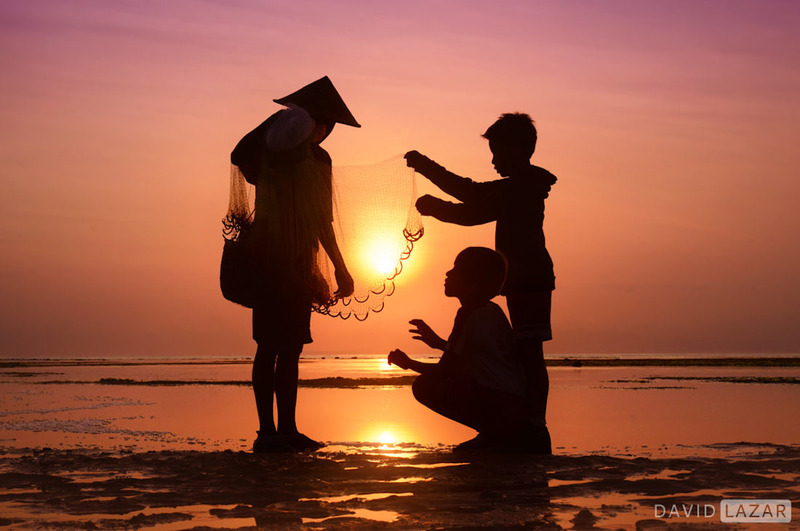 Sunrise fishing preparation at Sanur Beach. The “Island of the Gods” is constantly expressing itself, whether it be the sheer beauty of the lush landscape, or the people in their inimitably graceful and playful way of work and living life as if it were a work of art in itself. Central to Balinese life is family, and perhaps more than any other culture – ceremony. Ceremonies to mark a variety of milestones and important occasions from the personal to the communal to the natural to the deistic, each wrapped within the other. Rice terraces under the recently active volcano of Mt. Agung, which is considered a deity. 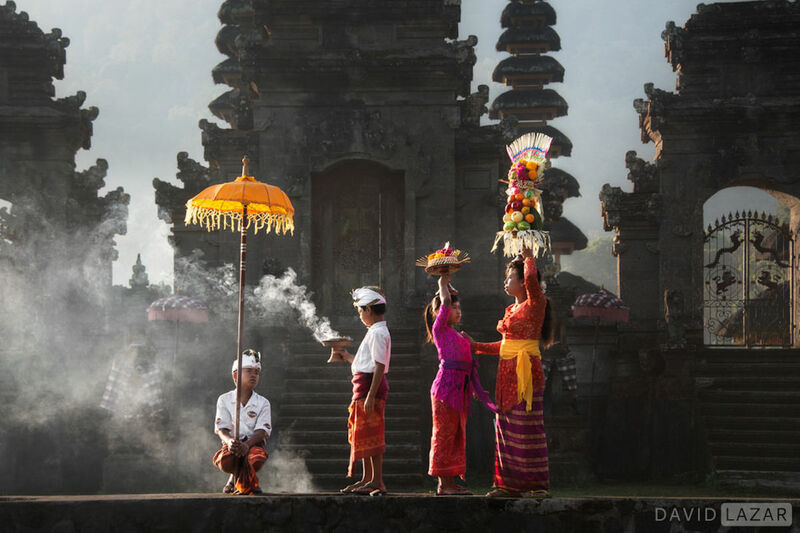 Each early morning on Bali brings ceremonial offerings (background left) to the gods in the family compound. Every family compound has a temple, and it is the temple that is always takes first priority. 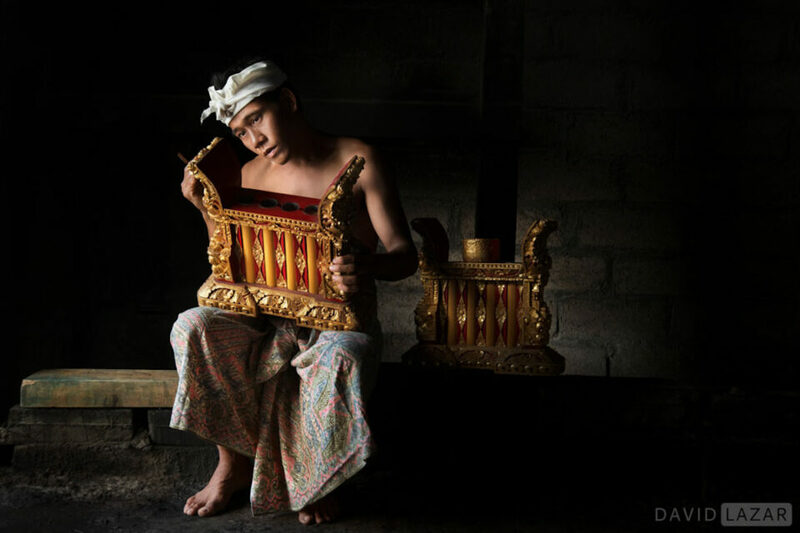 Traditional percussion music and instruments known as Gamelan are still hand crafted with the same devotion and attention to detail as they have been for centuries. This instrument is called a Jublag. Portrait of a Legong dancer before a performance. The Legong Kraton, or “Dance of the Royal Palace” was originally designed for members of the royal court. Lazar: Well, it wasn’t easy at first. I really had to push myself to approach strangers on the street and interact with them, and ask if I could take their photo. I think of it as a skill which over time, most people can develop and the idea of approaching potential subjects eventually becomes fairly easy. It requires practice and the desire to make good portraits in the first place –so repetition and perseverance is essential. And if someone says ‘no’ to a photo, that’s ok too, politely acknowledge that and move on, and don’t worry about it. Melasti Ceremony at Lake Tamblingan temple. The key to photographing people is to come across relaxed and confident. The more I was able to engage people as people, and not as subjects, the more natural and genuine my approach became. I started feeling much more relaxed and natural and so did they. And the more relaxed fun we had together the better the pictures got! Little Legong dancer, central Bali. 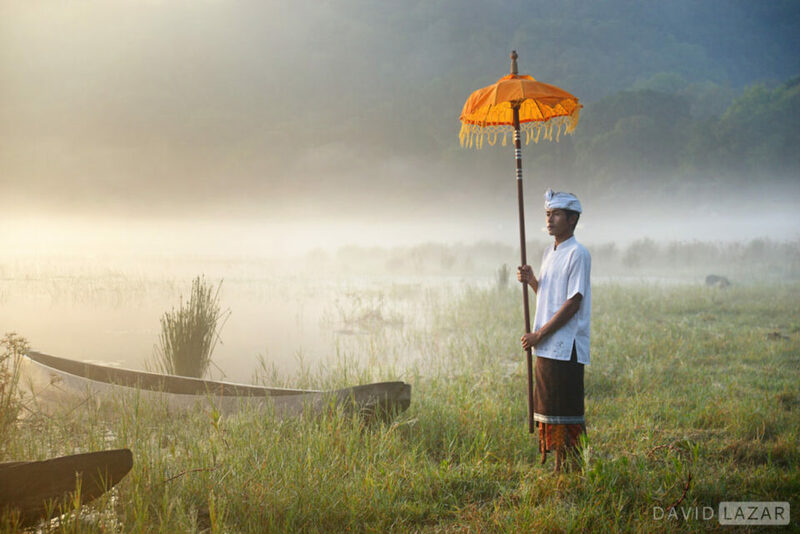 Misty morning on the shores of Lake Tamblingan. I approach people with a smile, and show interest in something about them, such as what they are doing or something they might be holding, or wearing. My goal is to make them laugh or smile back after a light-hearted interaction. Then it’s easier to ask for a photo, and also to put forth some ideas and direction to get a better portrait. Practicing like this over the years, my perseverance paid off and I became comfortable walking up to people and being able to ask them for a photo after an initial interaction with them. 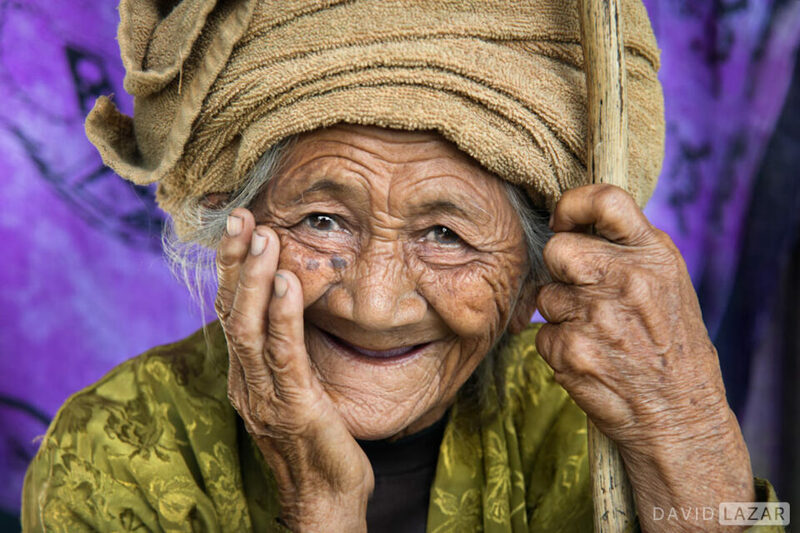 It wasn’t until a chance meeting in 2012 with Art Wolfe while on safari in Tanzania that everything clicked and I knew my calling – the legendary photographer said to me over dinner and after I had shown him my folio of travel work – ‘Portraits and people photography are your true forte’. Working the rice terraces of Ceking, central Bali. Seaweed farmer heading to the watery harvest on neighboring Lembongan island. But it wasn’t always so easy, I remember in 2007 while exploring Varanasi, India, I walked past an alley and saw some local friends playing with a litter of puppies. I kept on walking by, and then had to stop myself. My inner monologue was something like ‘David, turn around, and walk down that alley and interact’. I did this, and it was not so hard to show interest in the puppies and the group of friends playing with them, and after some time I did get some photos in that alley, and I walked away proud of myself for overcoming an initial obstacle and barrier and for having a nice interaction with people who were previously strangers. Portrait of a Bali Aga woman. 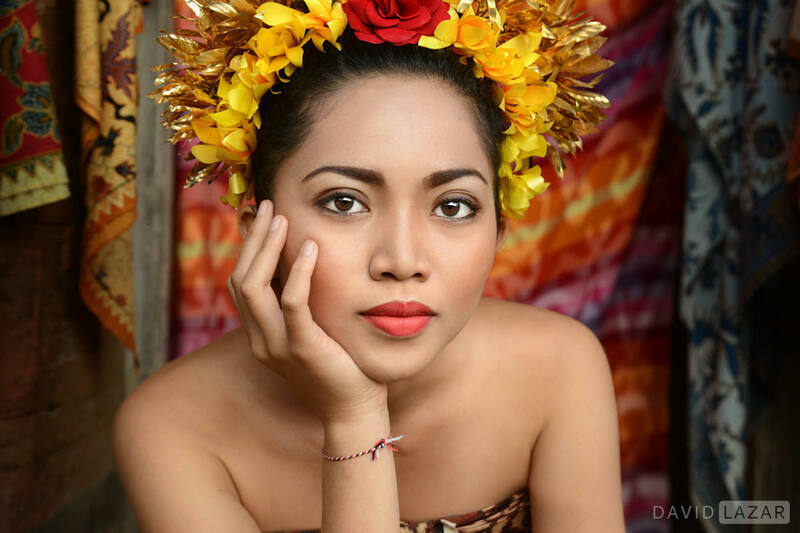 The Bali Aga are the islands original inhabitants, and today number only a few thousand. Boys will be boys in the rice terraces of Pupuan. Beyond taking a genuine interest in people (before they agree to become the subject of a photograph) I make a conscious effort not to “paparazzi”. I don’t walk around with three cameras and the look of a hunter on my face, imposing myself wherever I please. This puts people on the defensive immediately, which is never good. I don’t press anyone into a photo. Reluctant acquiescence most often results in uncomfortable expressions and an unusable photograph. Boys splashing in a hidden swimming hole outside of Ubud. Buffalo splashing through a rice paddy near Negara. 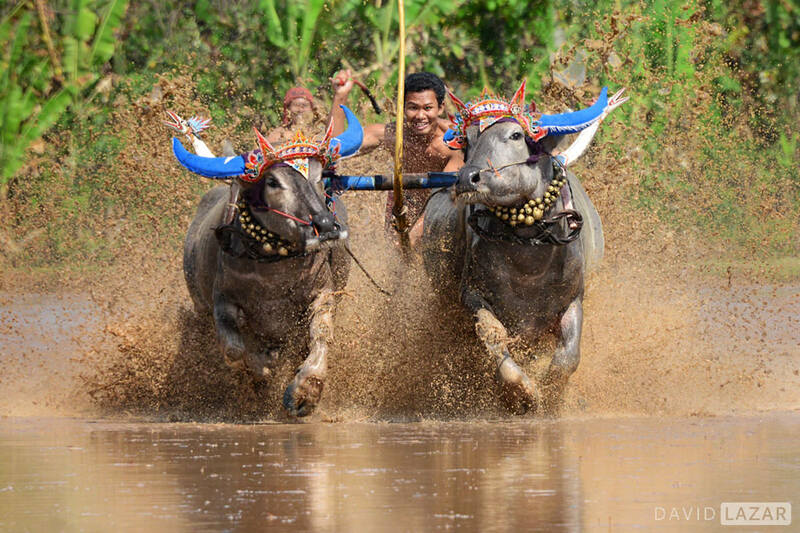 “Wet” buffalo racing originated on Bali centuries ago, but is now rarely held, in favor of dry racing. Most wet racing today happens on Sumatra. Mt. Bromo just after sunrise on neighboring Java. Out on the street I carry one camera and tuck it into a plain shoulder bag. Then I set out to engage with people. People in general, not just potential subjects. This gets me into the flow, and you never know where an interaction with someone may lead you. By engaging in a conversation with a person you perhaps don’t wish to photograph, you might then be invited into their home for tea or an interesting location they know, which could then present a myriad of new photo opportunities. Of course I am keeping an eye out for great faces, light, backgrounds and possible compositions. When everything comes together and the right moment arrives, only then do I bring out the camera. Once it’s out and I have at least tacit permission, I keep it out and work the scene after I have what I need in the portrait department. By then people relax even more and tend to forget about the camera, opening up candid opportunities. 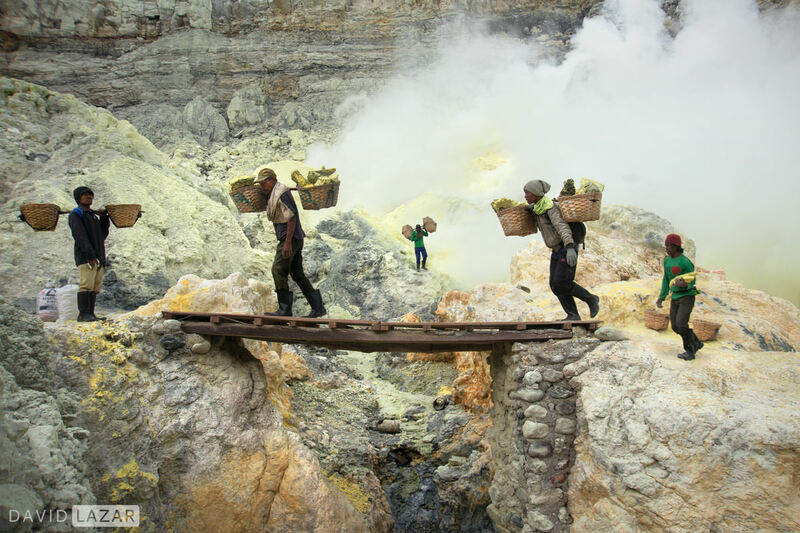 Sulfur workers in the Mt. Ijen volcano, east Java. Classic Lazar portrait utilizing a handmade Balinese fan. 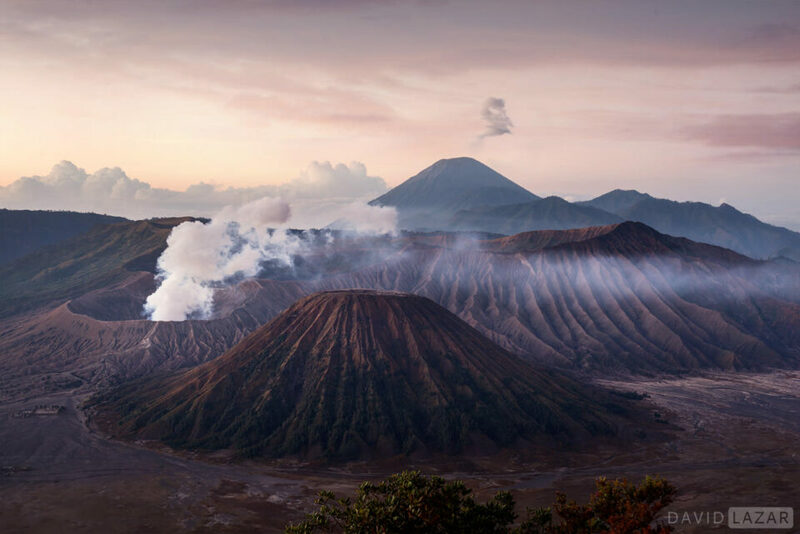 Bali is a palette of riches for a travel photographer like Lazar, who routinely travels off the beaten path to parts of the island tourists don’t know exist. He has selected the following 20 fine art travel images himself, and sincerely hopes you enjoy them. 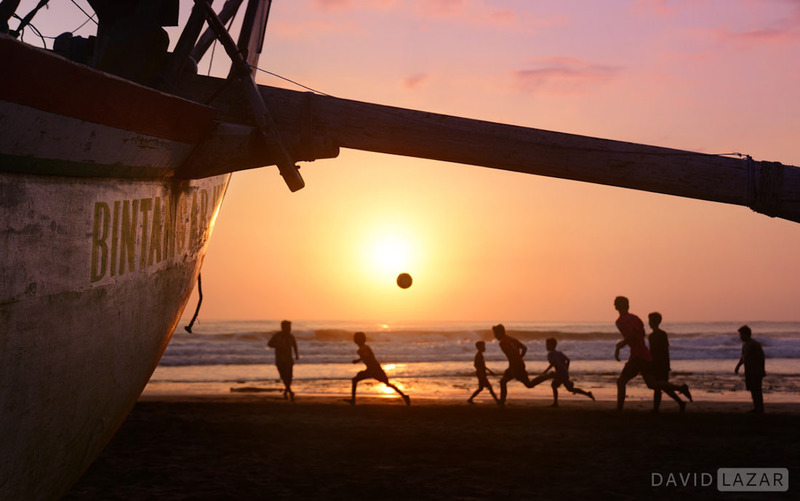 Undeniable proof that beauty comes in all ages, east Bali. 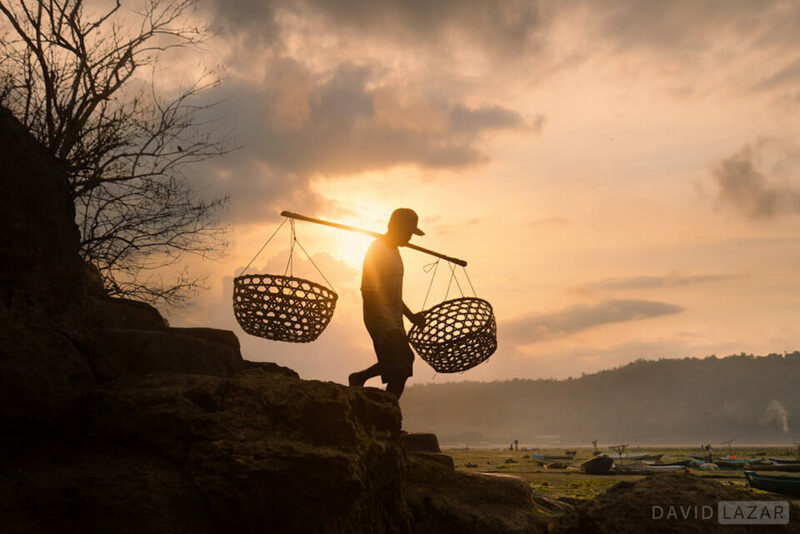 This guest post has been submitted by David Lazar, a fine art travel photographer from Brisbane, Australia. His award winning images have appeared in top tier publications around the world, including National Geographic, Lonely Planet, Practical Photography, and Australian Photography, just to name a few. 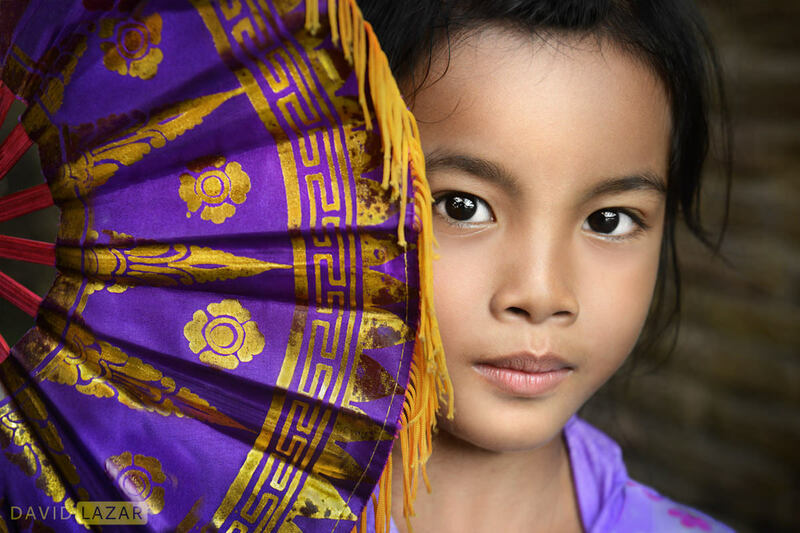 He also conducts highly praised photo tour workshops around Asia several times a year. You can see much more of his work on social media, including his Instagram gallery. Exquisite photos! I especially love the serene beauty of the Balinese people. Many thanks for such a wonderful essay. You’re most welcome Beverley, glad you felt an emotional connection with these photos. All the best to you. I enjoyed the text much more than the photos. This is a collection of generic travel cliches, nicely executed but instantly forgettable, like yet another car commercial. While some of the photos may be relatively standard for this area of the world, I found others of them incisive, quite well done and not merely a “snapshot.” It’s often an exaggeration to claim all work of a particularly photographer is genius or terrible. I have visited there several times. Sudhakar you are most welcome. The best photographer on PL by a wide margin. Great work, Bravo! Well it’s very kind of you to say, thanks Zeissiez. Thanks for the beautifull pictures, this is really inspiring! I know Indonesia and Bali very well (my wife is Indonesian). I have been there (and will go there) many many times and took thousands of photographs. I wonder if you can give some advice about how to deal with the difficult harsh light there and about recommended equipment/filters. At first I walked around there with a bag full of lenses but that was a big mistake. The heat forces you to bring as little as possible and this makes it also easier to take photo’s in an discrete way. A bagpack is useless because you will sweat too much in this climate. I tend to bring next time just a small DX camera (they are incredibly good nowadays) and just 2 or three tiny lenses. The tropical rain(and moisture in general) is also something to think about (the rain is like taking a shower and transport is often just a motorbike). All tips on traveling and photographing there (and other tropical countries) are welcome (your next article? I hope so!). Having used a Fujifilm X-T20 for several months now with just two lenses, the amazing 18-55 “kit” lens (oh, it’s sooo much better than that) and the equally wonderful 55-200, that’s what I would recommend. The Fuji cameras have an uncanny ability to do wonderful things with human faces – and with greens. I shoot pretty much everything with the Velvia film simulation; if things get too bright (Velvia-like), I can always tone it down in post. The answer to your light question is simply to not be shooting outdoor scenes in the hard sunlight. Shoot early morning or late afternoon for the landscapes and outdoor scenes, unless the whole scene is in shade or is a scene undercover. Most of these photos were taken around sunrise or sunset when the light was even, or the close up portraits can be taken any time of day with the subject in shade but with still good quality natural light coming from nearby. The only photo in this series taken in direct sunlight was the buffalo race photo – but it was still fairly early morning. I hope your downsizing of camera and lenses works for you on your next trip, good luck! Yes you are right but the sunset is only very very short in a tropical country. In half an hour you go from day to night… For landscapes that can work but for events, ceremonies, markets etc. you have to deal with the difficult light. Markets you can go to early morning as they usually start very early, but agreed that it’s really difficult to get good event and ceremony photos in hard sunlight. Sometimes it can be cloudy so could help, or if part of the event is undercover that will be useful too. Certainly not every scene can have a great photograph made from it – so being in locations at the right time with the right light conditions is certainly important. Bennett, I was interested in David’s description of the camera bag – the conversations – and THEN bringing the camera out of the bag. Before I read that far, I was going to put something like that forward as a suggestion. (He goes through 6 paragraphs before the camera bag gets a mention). Some street photographers suggest the opposite – that it must be totally candid, unannounced, taken by stealth without the subject[s] being aware of it. One or two, like David, prefer to ask. Personally, I’m with David. I will never be able to wipe from my memory the afternoon I was having lunch in a restaurant in Hong Kong, when a very elderly chinese lady entered and sat at a nearby table. She was old and frail – she apparently could no longer handle the traditional chopsticks, so she was eating with a spoon. But she had an absolutely extraordinary dignity in age, and I ached inside for the change of capturing it with my camera. The camera was there – it would have been so easy. But it would have been an impertinence to intrude in her peace, her life. And without her permission, it would have been wrong to exploit the scene, for my own personal [self-centred, if not selfish?] pleasure. So I did NOT take that photo. I suppose in a sense I captured it in my mind’s eye – typing this, I can still see her sitting there – quietly – eating her meal. No you don’t get the same scene, if you ask. But sometimes you get something even better. So I think it’s worth it. And there’s never anything wrong with good manners, anyway. Cees mentions the tropical rain and moisture – I’m afraid I’ve yet to find a place where it never rains, and the air is never moist – no it’s not good for photographic gear, so we all need to know what to take, what to do, what the weather-proofing of all or any part of our gear is, and take appropriate precautions. Apart from all of which – I love David’s photos, Bennett. Thanks for producing this article and sharing his photos and his thoughts with us. Situations like in that restaurant, as you describe, are so typical. You have to choose between candid and “staged” and end up with nothing but the thought to be (much) braver the next time. Not necessarily to become a Bruce Gildon but a photo not taken is no photo. And a “staged” photo is better than a candid I-did-not-dare-take-a-photo. Regarding Bennett’s report: David carries a Nikon D800 around which is not a small camera. Obviously that is no issue. He uses a Nikon AF 24-85mm f/2.8-4D, not the best lens (at the long end), but it covers a wide range. And again we see, it is not the gear, it is the photographer. What I wonder: How much time does David spend before he gets to take pictures? Thanks a lot, Pete, glad you enjoyed them. As for your flash mention, David never uses one either. But some do with great results, it’s really a style choice, like with Bruce Gilden’s often commando street photography. David is a fine art travel photographer primarily, with a specialty in portraiture, so candids don’t play much of a roll. And what is a candid portrait, anyway? Gilden jumping out with his flash, obviously, but clearly there are degrees. If someone is at all aware of your camera and intent, even if not the instant you click the shutter, is this a true candid? I don’t think so, because the awareness of your presence is enough to alter their behavior. The exception to this might be when embedding yourself to the point where you have been habituated by any potential subjects and behavior continues naturally, as if you were not there at all. In David’s case, he’s more interested in the relationship and interaction between subject and photographer. To Jan – yes you got it right, it’s about the photographer and not the gear. A good one with basic gear will outshoot a bad one with 20K worth in their backpacks every single time. Way too much emphasis on equipment in my opinion. Those dollars are much better spent on experience in the field. As to how much time David spends, I assume you mean once he makes contact with a subject? It really depends on the situation. It can be anywhere from 30 seconds to an hour! For the most part I’d say it’s just a few minutes, enough to establish a friendly rapport. I am struggeling with the same “problem” – there are so many photogenic situations but even if you have a camera available it would just be impolite or intrusive to just take the picture. PL is presenting the most interesting content I’ve seen among many photography sites. The artistry of the Balinese and David Lazar is wonderful. Thank you for the inspiration and very useful tips for photographing people. Well done, all! Thanks George – your comments are much appreciated and I’m glad I could help inspire you through my photos. All the best! Stunning photos! Congrats from Brazil! Which brand is this 24 – 85 lens? It’s a Nikon 24-85mm f/2.8 – 4D, but it’s an older model now so I recommend the Nikon 24-70mm f2.8 – which is what I replaced it with last year. Glad that you are answering yourself – totally forgot the 24-80 2.8-4 but apart from the last bit of image IQ I guess your pictures would be as good with any kit-zoom around, love your work, inspiring! Thanks very much Thorben – the 24-85 is the lens I have used on the majority of my portraits but I decided to get the 24-70 for the option of f/2.8 at all zoom ranges, which is useful. But as you say, there’s more important things to consider than the lens and gear to create great photography! I am blown away at Lazar’s photos. The beauty of the land and people is fantastic. Nice gear, yes, but Lazar knows his gear well and also knows where to place himself to capture the right moments in the proper light. I’m inspired to travel and shoot more. Thank you. I’m so glad I could inspire you Nelson and thanks very much for your kind words. Yes you’re right that more important than the gear is to find yourself in photogenic places at the right moments or with interest subject matter, in good quality light! So good images. What a pleasure. Great, great gallery…love it ! Really striking photos, David. 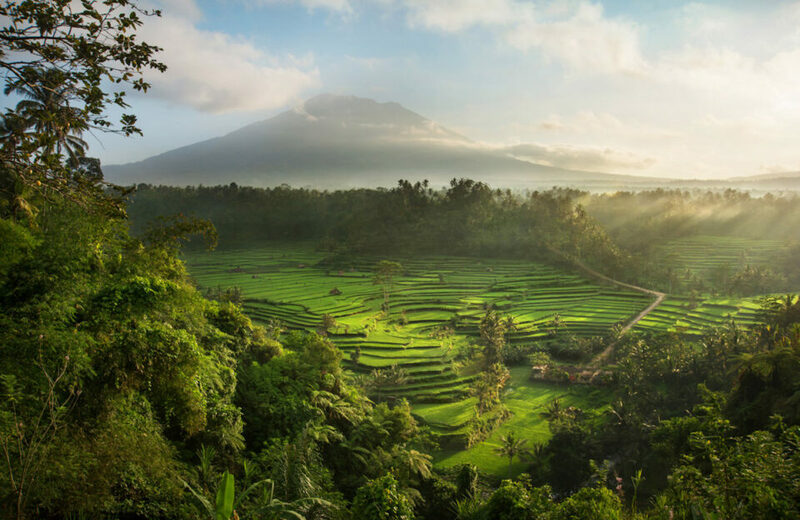 I especially love those of the deeply creased and wrinkled ‘dadong’ (granny) and gamelan player’; I’ve seen that angled head on a few men over time… As a writer/artist/photograher living in Bali for 7 years, I still get goosebumps whenever I stumble upon mesmerizing shots of verdant paddies. Plus, you’ve captured much of the island’s and people’s heart and soul. Baik baik! So nice to hear Amit – thanks and I’m glad you found an emotional connection with my photos in what is surely one of the most beautiful islands in the world! All the best with your work there. Inspiring photography David your a craftsmen. I delight in the colors and commentary. Thank you for sharing this beautiful place.